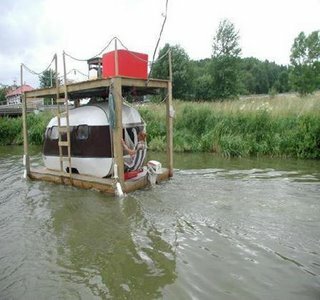 mY oPA’S Redneck hOUSEbOAT? | Gods Love & Stories Of The Past? You see my Opa & Oma and me have made so many friends in bloggerville I just want to suprise my Opa on my third birthday and sort of have a reunion or something like that? I think it will take that long to organize it by taking reservations starting today ? The bottom picture is My Opa’s redneck houseboat now ? You see why it’l take untill my third birthday to get it all organized ? The top picture is the new bigger redneck houseboat #2 that I am going to get my Opa to purchase because the other one would be to small!! You know I learned how to plan ahead by watching my Oma ? I shore will be glad when I can spend more time with my Opa cause Oma hogs all my time? I love my Oma very much but she is kissing me all the time and some times she slobbers on me? I hope I’m not getting in trouble with her , I thought that I could get Mr. Ron to post over here and maybe Opa and Oma wouldn’t see it ? Mr. Ron is such a good Great Opa, I’m thinking about adopting him like my Opa and Oma did ? If ya’ll don’t get to hear from me for a while ya’ll will know I been abused cause they grounded me from the computer ? Blessing from Litl KC and MR. RON. Yungun”, you got some explaining to do!!!! Nah, I am not angry, I love the idea you laid out here and I think I speak for both Opa and me, when I say I am glad you and Grandpaw get along so well and if Grandpaw likes to adopt ya, we sure won’t mind sharing the burden. grin. And next time you run off…, let us know! lol that was crazy! Where can I get one??? What mischief is that Grandpaw gettiing into NOW? I mean I haven’t been here for a few days and when I finally am able to come, the “amazing grace man” seems to be in one big heapa’ trouble with sweet Corry! !….from the mean Canadian lady! KC and Corry when I decided to post this is because I didn’t have my Grandkids for a few days ? Goes to show to much idle time and you risk the possible risk of ” getting your bottom burned and have to sit on my blisters ? ” Corry do you know where I found that quote? Dana the little redneck houseboat probably will be for sale , after that is when KC becomes proud owner of the new condo redneck houseboat? Glad ya’ll doing better ? Terry I hope this don’t sound ugly cause I don’t mean for it to , but I new you was recuperating from your fall and I thought that maybe you would be mean anymore ? I was wishing that one of Bernies prayers had been answered ? Glad you feeling better ? Aww, I am so sorry you missed your grandkids. I hope that situation is rectified soon. Corry thanks for dropping by ! I probably won’t get to keep them but a couple of days untill the monday after 4th of july . Then they will probable be with me untill school starts again ? Janice good to hear from you . I thought something might be wrong , maybe sick ? You know that we all love you and miss you ? On your post where I commented the other day , Did I get your address right ? Every now and then my grandkids will go some where with me , and they ask me where we going . Then they ask me where they live and I tell them on 40th and plum ? They have learned its way out in the country and they start asking questions such as , Have we got enough gas -you got a spare tire – or do they have mean dogs – or when we gona get there ?